(Unfinished) Hunters are on the prowl on the planet MegaLuna. One hunts for sport, the other for survival, and they both hunt one species……the SWAT Kat kind! A raging storm blew through the metropolis of MegaKat City. Howling winds and driving rains pushed many katizens indoors as the city seemed to waver in the presence of the storm. But, one lone figure stood atop a tall building. The rain was interfering with its infrared sensors, but it wasn’t hunting tonight. First, it had to get familiar with the new terrain it was surrounded by and establish its territory amongst its brethren. They had come to hunt humans and instead found a world full of….. what did the humans call it? A Cat? But, here it was spelled as a “Kat”. Its sensitive ears picked up a strange sound from below. It punched a few buttons on its right arm and was quickly covered by a strange, transparent film. The new camouflage easily hid amongst the dark buildings unless it moved. Confident it was hidden, it easily swung down the building’s side. Being used to the hot jungle trees of South America, it moved with the skill of a native monkey. As it got closer to the noise, it recognized it as a “scream” and it was coming from a blonde-haired she-kat in a pink starched business suit who was running down a narrow alleyway. A large he-kat ran after her, wielding a primitive knife. Maybe this would be an adequate trophy…….. it thought to itself. Deputy Mayor Callie Briggs ran down a narrow alleyway. Her suit was ripped from her valiant fight with her attacker. She had dropped her purse and fled, but he pursued. Obviously, he had recognized her and was hoping for a ransom…… or something much worse. Callie shuddered at the thought of that possibility as she stumbled over the badly paved street. She screamed as she fell to the hard ground, panting and tears streaming down her face. She felt her attacker leap from behind and tackle her back to the ground before she could move. In mere seconds, a knife was at her throat and a cruel laugh filled her brain. “Hey baby-doll, maybe you and me can have a little—WHAT IN THE HECK? 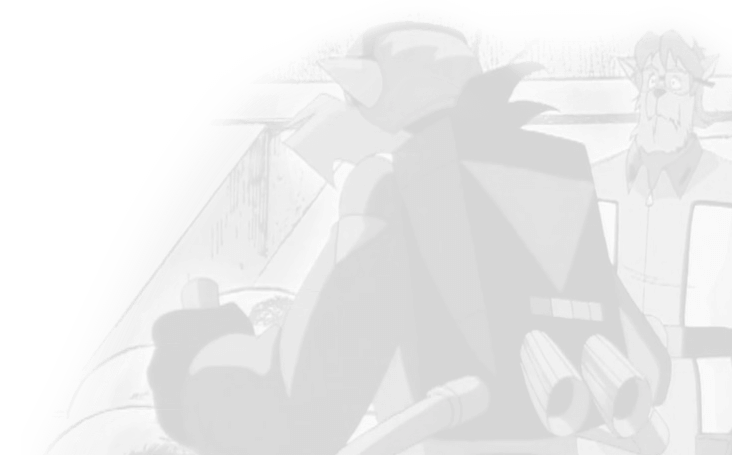 !” the mugger shouted as a form landed in a puddle in front of the pair. Callie couldn’t see much because her face was abruptly shoved down into the pavement. She heard the sound of her glasses crunching against the dirt and her face. Suddenly, the weight her attacker had on her back was lifted off. She didn’t want to lift her face. She didn’t need to; her attacker’s screams were all she needed to hear to know what was going on. Finally, she heard the knife drop to the ground with a small “clink!” and heard her attacker’s final screams of agony. Then, all was silent. Callie lifted her head only slightly and nearly threw up with what she saw. Dark red blood spattered the scene, puddles of the liquid stood all around her but that wasn’t the worst part. She saw her attackers body laying a few feet away, but on top of it was a far larger figure, about 7 feet tall and clad in an awesome assortment of weaponry. Callie’s unadjusted eyes couldn’t make out anything else definite except for the mugger’s body which was covered in dark red blood and what seemed to be his entrails. A strange clicking noise filled the air, like dripping water trickling down into a full glass. The clicking was coming from the figure on top of her attacker as it reached down and grasped something in his back. She turned her head from the sickening “crack!” as the figure ripped out her attacker’s head and spine, throwing blood and bits of semi-solid matter everywhere…..
(Unfinished) The Swat Kats bought a new car, but that’s not all they got! 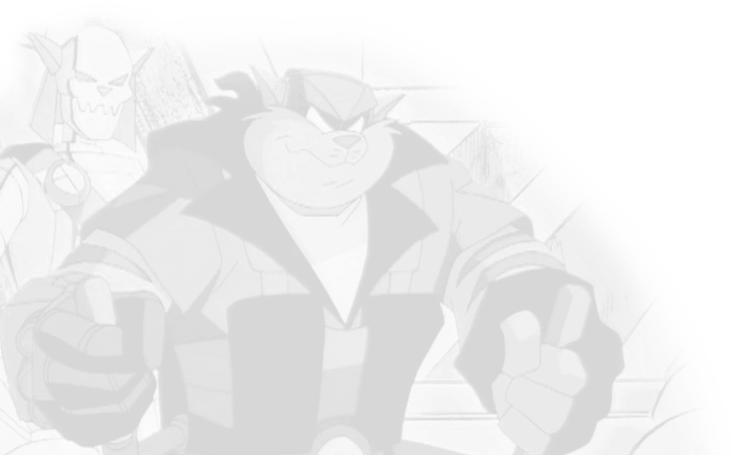 The Swat Kats make a strong friendship with a bot named Bumblebee, and they might make more allies later. Crossover with the live action Transformers movie.